Liberland may have a big spirit, but in terms of landmass, it is a relatively small nation. Altogether the country is 7 km2 — 51057 times smaller than Germany — so how can Liberland compete on the international landscape? The nation is not alone in this struggle; small countries such as Belgium or Malta are economically prosperous and play a significant role in international trade despite their diminutive size. Let us look at some smaller nations and see what Liberland can learn from their successes and failures. Monaco is a micronation on the French Riviera that is heavily tied to France but is still very much independent. The reason it is such an important case study for Liberland is that it is only 2km2 and yet has managed to become an economic powerhouse. 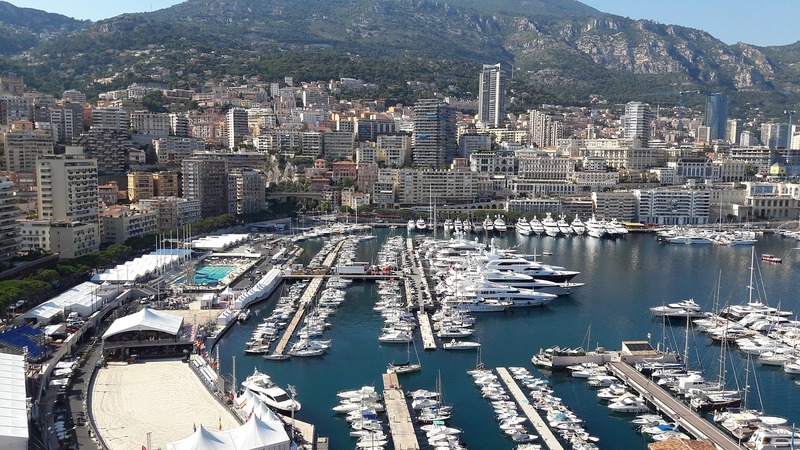 Monaco has the world’s second-highest GDP nominal per capita at US$153,177 along with an unemployment rate of just 2%. It has managed to have this through its massive gambling and tourism industries. Tourism makes up about 15% of the countries annual revenue with most people coming to enjoy luxury hotels and casinos. Gambling is banned or limited in many countries, but in Monaco people can let loose. Another big draw to the economy is the banking sector; there are no taxes on personal income, so many of the worlds wealthiest people funnel money through Monaco’s banks. A lot of smaller nations have low taxation, not only Monaco. The Cayman Islands, Mauritius, and Luxembourg all profit from having low taxes by getting investments from foreign business. Liberland has already shown a distaste for taxation, perhaps allowing foreign money to enter the country tax-free could be a way to boost the small nation’s economy. Gambling may also be something to attract tourism to the little riverside state. People from all over the world travel to gamble in Monaco and similar countries, why not open up casinos in Liberland. The national motto is “Live and Let Live,” why not live and let gamble? Liechtenstein is another little country, only 160 km², that manages to make much money due to its low tax laws. The banking industry is big but not quite as booming as Monaco. The country is very dependent on its neighbor Switzerland, importing more the more than 85% of their energy needs from them and using the Swiss franc. They are also a member of the European Economic Area (EEA), allowing them ease of trade with many European Union countries, but they do have to follow taxation laws and are part of the Schengen Agreement. Liberland cannot rely on its neighbors. It is no secret that neither Croatia or Serbia have recognized the nation; Croatia regularly stops Liberland citizens from returning to their legally claimed land. There are also no plans for Liberland to join the EU at this point and if it did that would likely clash with the state’s ideals. If the country wants to survive, it will have to look for a more independent path. Island nations are essential to look at because Liberland may operate like an Island if it can not get along with its neighbors. The critical thing to look out for when comparing Liberland to these nations is where they went wrong. Nauru was once a bustling economy after large phosphate deposits where discovered. The country relied on industry exclusively for income, along with a few minor fishing deals. A country cannot survive on one industry alone though, and in 2004 the country hit an economic crash after the price of phosphate fell. Nauru has been in an economic recession ever since. If Liberland is to succeed the country has to diversify its industry; the state cannot focus on just one area no matter how profitable it is. Hong Kong and Macau are fascinating because they operate under the one-country/two-systems policy. They may belong to communist China, but they are very much capitalist. The history is a bit complicated, but for our purposes, we need to look at what makes these two cities economic giants in their own right. Hong Kong profits from the high amount of port trade they see every day. With shipping being almost free in the former colony, companies from all around Asia have flocked here. According to the Index of Economic Freedom, Hong Kong has the highest degree of economic freedom in the world. This freedom is due primarily to things passing through. Cheap goods filter out from China, money filters in from the rest of the world, and the airport is a hub for international travel. Hong Kong’s strength is its connectedness. Hong Kong is the bridge between capitalism and communism. While Liberland might not be in the same position, the country can still learn from this success and try to stay as friendly as possible with everyone. Global trade is a powerful economic force that can be harnessed as long as a country is open to it. Macau is less successful than its overachieving brother but still has an economy many others strive to match. This is another place funded by tourism due to its casinos. Gambling is a big business that we already discussed with Monaco. The economy is also helped by the low taxation that helps businesses bloom and sees foreign money enter the banks. Recently the Chinese communist party has been taking more of a leading role in the city. Many investors are scared off by the reports of pro-communist party officials taking positions of power in rigged elections. This fear is in Hong Kong as well. Whether it is true or not it is enough to scare off many investors and causes businesses to flee the cities. This is why Liberland has to be careful when making alliances and not become dependent on another nation. Our last nation is a bit of an odd one, but Liberland should explore all options to find the best way to succeed. Vatican City is technically a country; it is a member of the UN, has virtually no population, yet has a massive effect on the world. The Catholic church is one of the most significant powers the world has ever seen, stretching to every country and touching lives without even trying. The country lives off of donations from churches that satellite the holy city. While Liberland may not be a religious state, it can learn from the Catholic model. People all around the world identify with the Catholic church and would be up in arms should something happen to it such as a natural disaster or pressure from another country. Forming such an international, transcultural identity has given the church many followers and could give Liberland some, too. There is already a massive online community who love Liberland and want to one day become citizens: I say continue to encourage these netizens and Liberland will have soft power all around the world. This can help encourage investment and foster international ventures. Liberland could also look into international centers to foster deep relationships with other countries. Catholicism has churches; China has Confucius institutes, perhaps there should be Liberland Institutes as well as embassies to encourage a favorable view of the nation as well as generate funds to help the nation as it develops. Liberland can learn a lot from these other nations. We can see the importance of independence when looking at Macau and Hong Kong, along with the importance of diversifying the economy after seeing what happened to Nauru. The future is bright for Liberland if it can avoid these traps, and can copy the successful tactics presented here such as low taxation and keeping friendly ties with as many other nations as possible. Previous Post Money in Liberland: How Will It Work?